Team Hartung (with Tyler Hartung, Jayden Shwaga, and Mark Larsen) lost its first game of the event to Bottcher, but rallied through the B-side, winning eight games in a row to win the title, and the $10,000 first prize. Bottcher’s runner-up finish earned him $7,000. Hartung and his squad were also in the spotlight this weekend for some other reasons, though through no fault of their own. On Saturday afternoon, their opponents – Jamie Koe, Chris Schille, Ryan Fry, and DJ Kidby – took to the ice in a state that the club manager described as “extremely drunk.” They were later ejected from the bonspiel for their behaviour, which included abusive language, broken brooms, and locker room damage. Koe’s squad was kicked out of the event, and forced to forfeit their last game. All players have issued apologies, and admit the organizers did the right thing in removing them. On the women’s side, Robyn Silvernagle (North Battleford, Sask.) defeated China’s Jie Mei in the main event, taking home the title in the 28-team event. Silvernagle (with Stefanie Lawton, Jessie Hunkin, and Kara Thevenot) also earned $10,000 after running through the competition with only one loss. 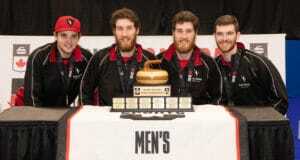 In Halifax, Team Howard won the inaugural Stu Sells 1824 Halifax Classic. That’s Team Scott Howard, not Glenn. 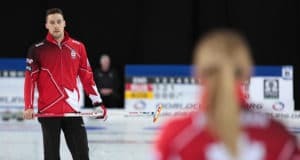 With his father Glenn in Estonia coaching at the European Championships, Scott took over the skipping duties and downed Brad Gushue in the final, winning the title at the 16-team event. The turning point for Howard (with Adam Spencer, David Mathers, and Tim March) was a dramatic triple take-out in the third end to score six. Gushue fought back with a deuce and a steal, but it wasn’t enough to erase the deficit. 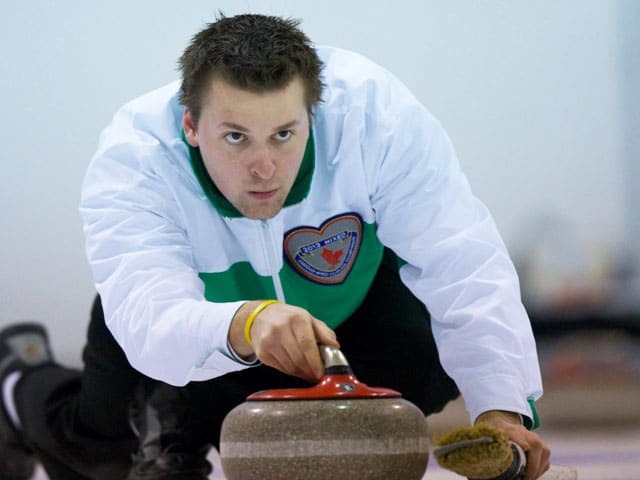 It was Scott Howard’s first win as a skip on the World Curling Tour. In Mixed Doubles action, Olympic gold-medallists Kaitlyn Lawes and John Morris won the Canad Inns Mixed Doubles Classic in Portage la Prairie, Man. They defeated last year’s national runners-up, Kadriana Sahaidak and Colton Lott. In Wheelchair curling, the 12th Annual International Bonspiel – Canadian Open took place at the Richmond Centre for Disability in Richmond, B.C., over the weekend with three Canadian teams taking the medals. 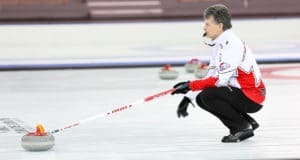 Jim Armstrong led his team of Reid Mulligan, Collinda Joseph, Darryl Neighbour to the gold medal, defeating Olympians Mark Ideson, Ina Forrest, Jamie Anseeuw, Marie Wright and Dennis Thiessen, with coach Wayne Kiel, in the final. The bronze medal went to Canada’s Gil Dash, Jon Thurston, Ellis Tull, Alison Duddy and Darwin Bender, with coach Adam Kingsbury, who defeated Baek Hyejin of South Korea.